This car is converted from NFS Shift and I've UV Mapped some parts with the help of Excelerate becasue he tought me UV Mapping so thanks to him. 1. 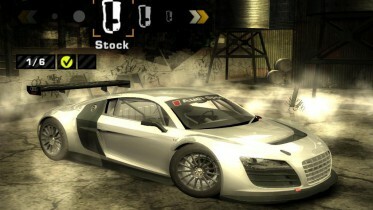 Open .rar file and extract every thing (except for read this before usage.txt) in your Need for speed Most Wanted Directory. 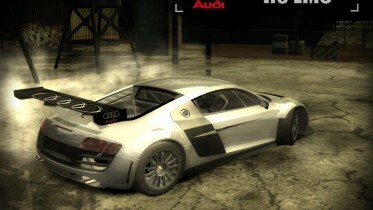 Rim paint (only With Aftermarket Rims Only). 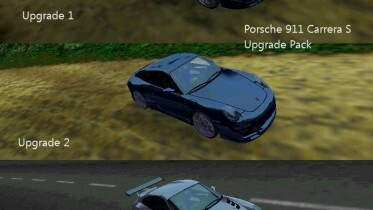 1.Realistic perfromance ,no slides,not too much overpowered and top speed is 398 KM/H. 6.Fixed Headlight,Brakelight,Reverse Light and Exuast Dummies and more accurate. 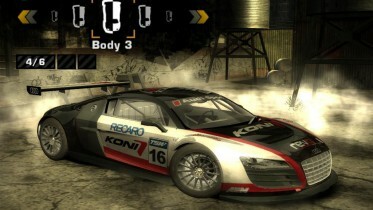 8.Race Driver Grid Tire Textures. Oleg M - for Zmodeler v1.0.7 and Zmodeler v2.2.2 . 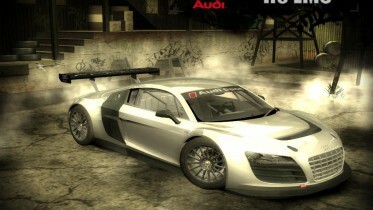 Arushan - for his NFSMW Car Creating tools (Arushan, without your tools it is impossible to make cars). 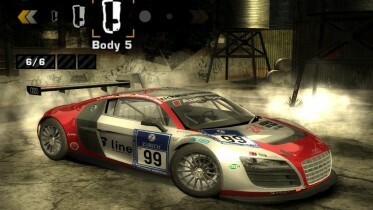 nfsu360 - for NFS-TexEd v0.9.0 and NFSU2/NFSMW Texture Complier. Nvidia.com - for Photoshop DDS plugins. 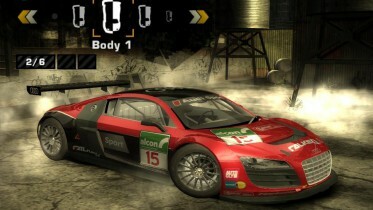 EA - Mesh and textures of ths car. Adobe team - for PhotoSop CS3. 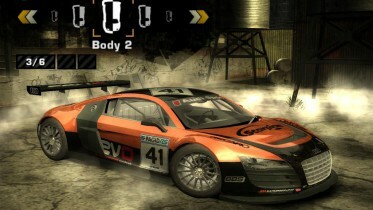 piehe - to allow me to use his Audi R8 LMS Nurburgring Livrey. 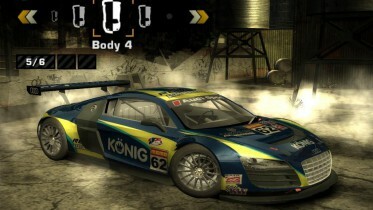 (http://www.nogripracing.com/details.php?filenr=23607). Excelerate - to teach me How to UV Map a Single part or Slected polygon in Zmodeler 2.
and finally me - for this conversion. AND IN LAST I wILL SAY THAT, if you wanna upload this car any other site first ask from me for Permission and remian me orignal Author.